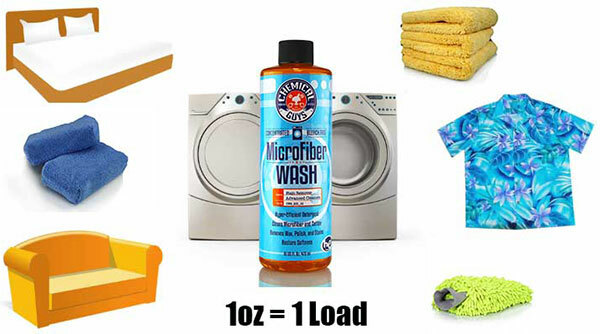 - Works on all microfiber goods. 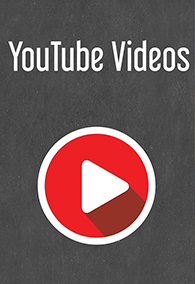 - Removes dirt, grease, and stains. - Dissolves wax, polish, and other detailing chemicals. 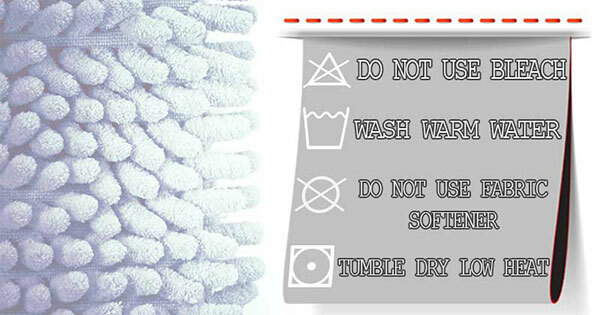 - Clean Rinse Technology for ultra-soft residue-free fabric. 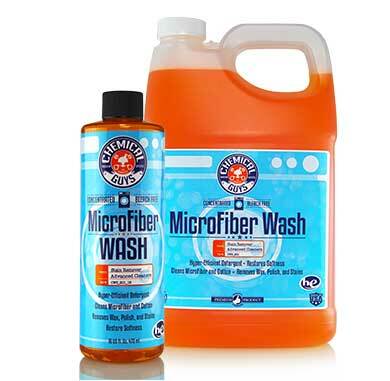 - Clean Rinse Technology completely washes from fabric for residue-free microfiber. 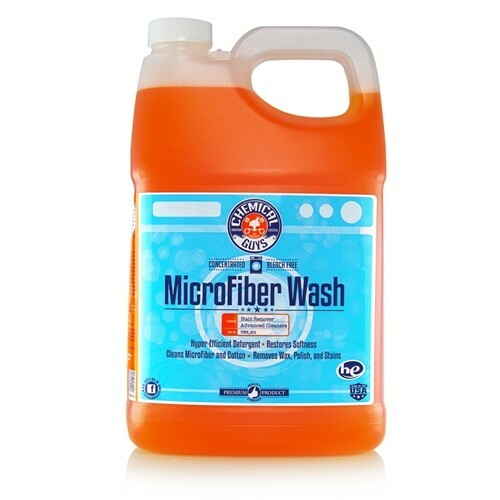 - New formula maintains softness and maximizes absorbency of microfiber. - Highly-concentrated formula cleans twice as much as before. 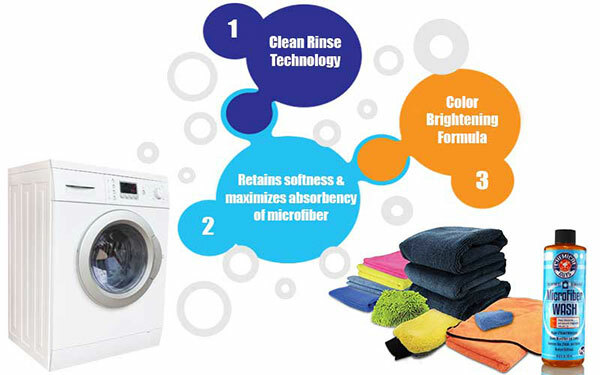 - High efficiency formula designed for HE washing machines. - New color-brightening citrus formula.